Nortek Powder Coating, known throughout the industry for fast-shipping and custom color matching, now has a selection of over 200 standard powder coating colors in stock, ready to ship in 24 hours. You can view the standard colors using the Product Color Catalog button above. Nortek produces the highest quality powder coating available. Whether your requirement calls for a standard Nortek color, color matching an existing color or competitor's color, or formulating a custom powder coating to your specifications, we will respond quickly to your needs and supply powdercoating that meets or exceeds your requirements. Nortek operations include in-house research and development, quality assurance and performance testing including accelorated corrosion testing. We are committed to producing exceptional powder coating that is competitively priced. If you have any questions or desire technical assistance, contact us to speak with a qualified Technical Representative. Our high-quality powder coatings are available in a wide range of technologies including Polyester TGIC, Polyester TGIC-free, Hybrid, Epoxy, Polyurethane and Acrylic. Specialty surface finishes including Metallic, Smooth and Fine Textures, Rolling Textures, Wrinkles, and Veins. Most coating powders are available in a wide range of gloss choices from flat to mirror-like reflectance. A number of RAL colors are also available for immediate shipment. Most colors are available in different chemistries to suit a wide variety of application requirements. The minimum factory order is 60 lbs. Turnaround time is typically five days or less. Standard powder coating colors typically ship in 24 hours. 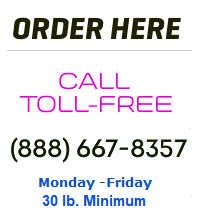 Smaller coating powder orders (5 - 55 lbs.) can be purchased online using our convenient online store. 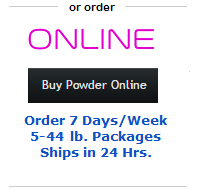 Online orders typically ship in 24 hours. Nortek Powder Coating shall consistently offer innovative products, of the highest quality, with world class service to all our customers. The Company is committed to continually improve the effectiveness of our Quality Management System, and also believes that the achievements are obtained through team work. March 2011 - Nortek products and services extended to Canada. Copyright ©2016 Nortek Powder Coating, Inc. All rights reserved.